Honestly, I could put kimchi on almost anything. 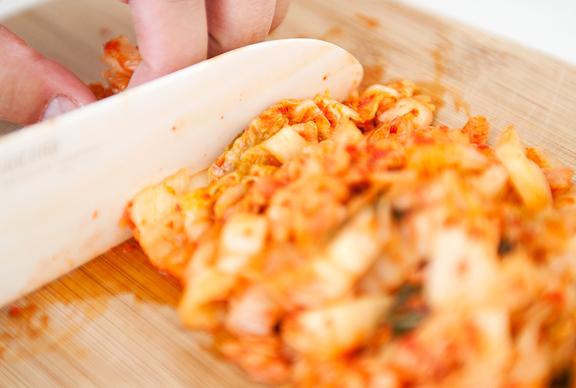 I grew up eating kimchi, so the smell makes my mouth water. Yet, whenever I open a container of kimchi, Jeremy will turn around trying to identify what dead thing crawled into our kitchen and died. White Boy is not a fan. Too bad for White Boy. I didn’t really follow the Fine Cooking recipe because I was basically replacing the preserved mustard green with kimchi in my favorite Chinese stir-fried rice recipe. The common themes in all of the recipes (Fine Cooking, Molly’s, and mine) are: pork of some sort, egg, kimchi, rice, and onions. 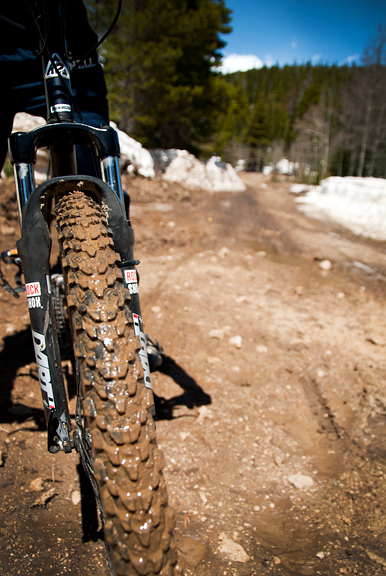 You can’t really go wrong now, can you? Believe it or not, once the kimchi had been fried into the rice, Jeremy liked it. Perhaps cooking it and mixing it in with other ingredients mellowed out the odor some? Either way, I like to have a little bowl of kimchi on the side to eat with my kimchi fried rice. Spicy! 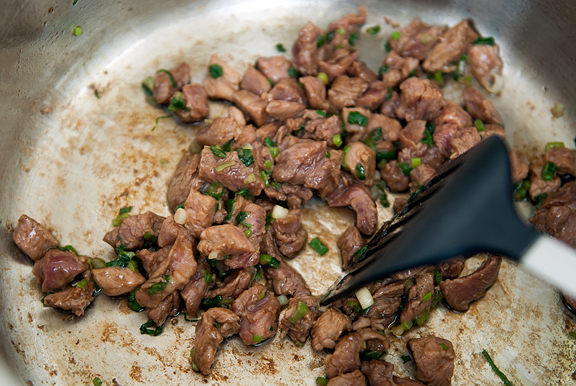 Mix the diced pork, soy sauce, sesame oil, and cornstarch together in a small bowl. Heat a tablespoon of vegetable oil in a large sauté pan or wok. When the oil is hot, add a third of the green onions and stir until just wilted. Add the pork and stir-fry until just cooked. Remove pork from pan and set aside. Heat two tablespoons of vegetable oil in same pan. When oil is hot, add all of the rice and let sit for a few minutes or until the bottom begins to brown and crisp. Scrape up the rice and stir-fry. 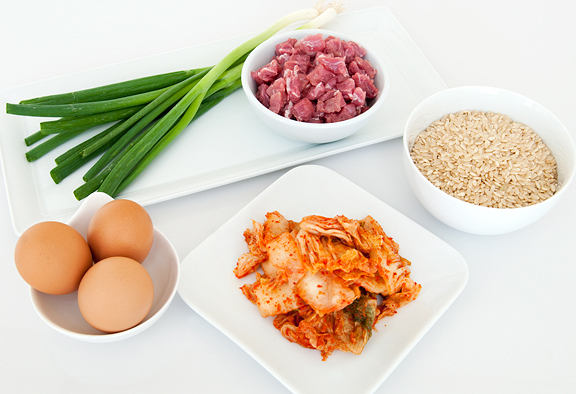 Add the kimchi, eggs, pork, and green onions. Stir-fry together for a few minutes. Serves 4. Well said! And yes, life is too short for crappy food. The caprese salad looks awesome as does this rice! I had never heard of kimchi until this weekend. I still haven’t tried it, but I want to…but for all the wrong reasons….see I’m not a huge fan of cabbage much less wet cabbage, but the name, KIMCHI. I love to say it. I am pretty sure that is the lamest reason anyone has ever wanted to try new food but I’m ok with that. Poor Kaweah…just wait Jen, I’m only a few years older than you, & I can strain things or feel as if I’ve pinched a nerve after a good sneeze or sneezing fit. And re. perspective…unfortunately there’ve been a LOT of “putting it in perspective” events lately, but the lessons don’t seem to stick with most of us. My wife complains that my pickled vegetables smell like feet, not unlike Jeremy’s reaction to kimchi. And then I realized it was the kimchi in my lunchbox. I definitely want to make this after reading your and Molly’s posts. I need to make that Indonesian fried rice again, too. The ladies seemed to like it. 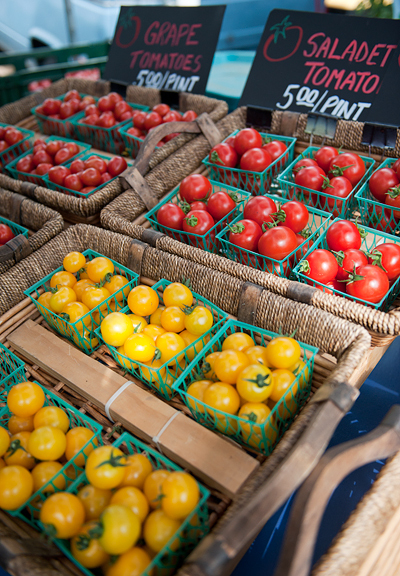 And the pictures from the farmers market are just GLORIOUS! I mean, so bright, vibrant, beautiful! And many thanks to your hubs’ friend for her service to our country and I pray for her safety while in Afghanistan. Mm, those caprese skewers looks delicious! I love kimchi bokumbap. For me, its the best comfort food out here. Melt a slice of American cheese on top and you got yourself an amazing dish. Sounds weird, right? After one bite of melty cheese + spicy kimchi + soft scrambled eggs, weird = delicious. I am happy Kat has close friends like you to love and protect her now. It is a tough time and she deserves the support of those around her. 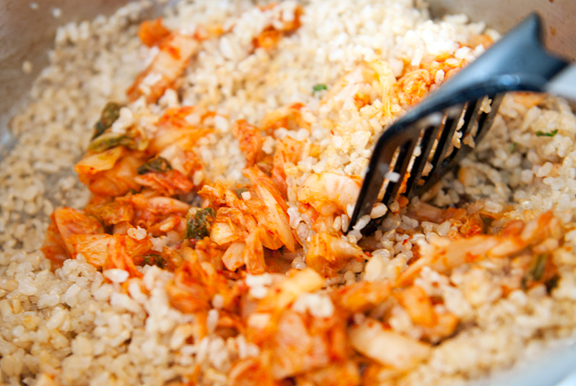 Your pictures are outstanding and the kimchi rice looks fantastic. White southern girl, meets Korean food about two years ago… fast forward to today – I’m a kimchi fanatic and can’t eat, or cook enough Korean food!! I received a not so subtle note from one of my co-workers to keep my addiction at home and please not to bring it to work everyday to eat with everything….. humpf! 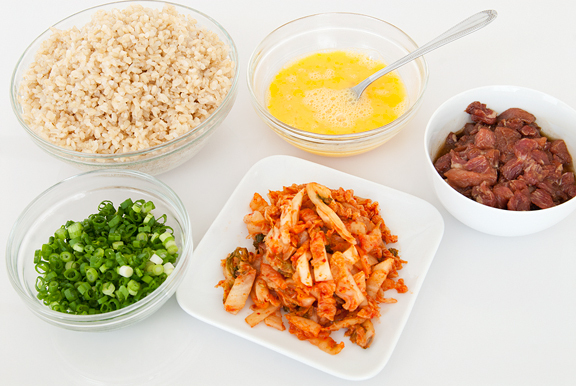 I can’t wait to try your version of kimchi fried rice, and am now completely fasinated at the thought of putting kimchi over noodles (yes please….) I was glad to read that your life is settling back into a normal (whatever that is) routine and hope Kaweah is on the mend. 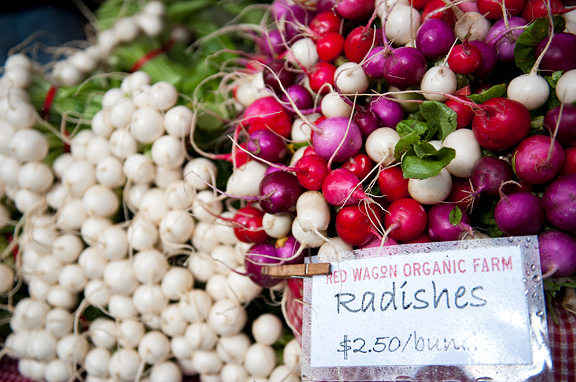 I swear, if I lived near your farmers market I’d be broke.. beautiful photos Jen, thanks for sharing. With every post I get a little more excited for Food and Light. 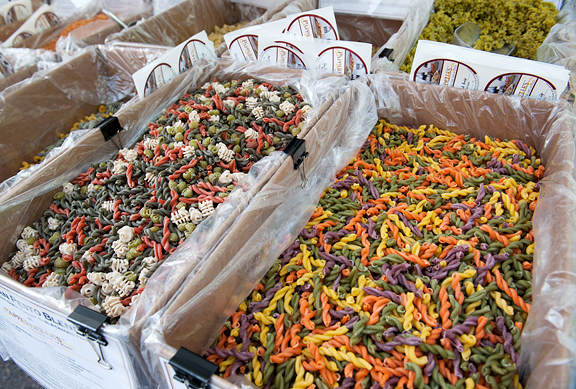 Those Farmer’s Market pictures are so enticing. Hope it will be open during the workshop. Beautiful pics! Hope Miss K., is feeling better each day. Thanks for remembering our Vets. I come from a family of career military; it means a great deal to see our service members honored. I love that you gave props to our active duty military too. It reminds me that I should wear my uniform with pride every day. And kimchi noodles are the way to go! Maybe it’s the Taiwanese in me that loves noodles so much more than rice (though I definitely LOVE my rice)! I find that the white boys I live with actually love kimchi jigae (that amazing kimchi stew). They’re a little apprehensive about the kimchi fried rice though.. odd. Kimchi will be a first for me as well. I’ve going to need to source some from somewhere. yum. I love kim chee, always have jar in the fridge, never thought of cooking with it. I can’t wait to try this. 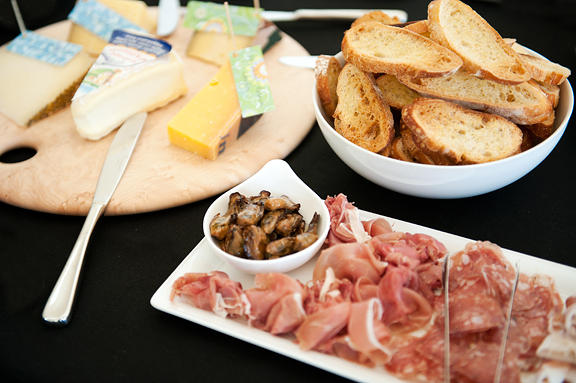 Yum, this dish looks so good! I must give it a try! as a korean i’m so happy to see that others have joined the love for kimchee friend rice (jeremy needs to join the club!). 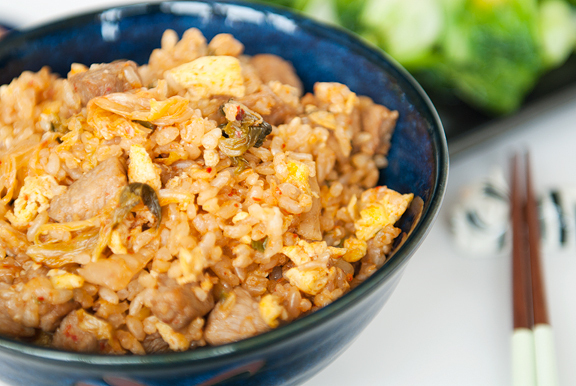 at home and at some restaurants the fried rice is served with the egg as sunny-side up on top of the rice so that the delicious runny yolk is almost like a rich sauce to mix in with the rice….delicious!! 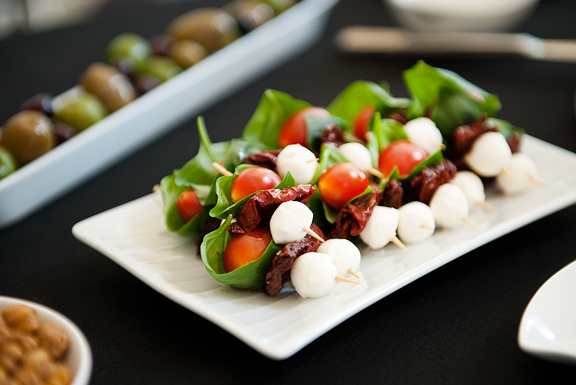 Those itty bitty caprese sticks look really good. What is that other ingredient, besides the tomato, basil and mozzarella? 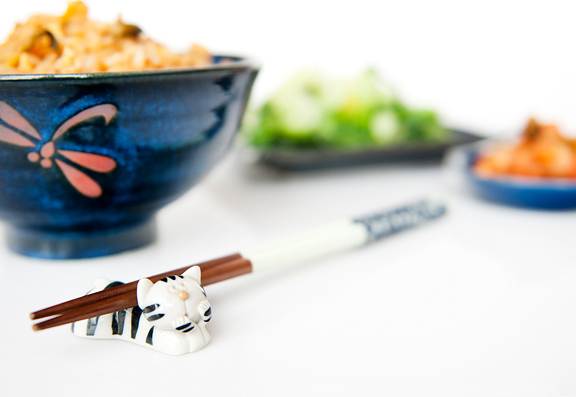 Very nice touch to spice up the regular fried rice!! Apron Appeal – I feel that way about certain foods too :) Well, it’d be doubly awesome if you DID like kimchi! Kristin – oh hon, I’ve already started pulling muscles that didn’t used to do that! ;) And yes, people always seem to lose sight of what’s important… which is why reality TV enjoys such popularity. Kitt – mmm, I have to try your Indonesian fried rice too! Nicole – wow, that sounds incredible. I’m scared, but in the good way. angelitacarmelita – that’s amazing that a co-worker would write that to you! Well, I hope you still get your kimchi fix at home. Nicole – it will be! The market is open on Saturdays and Wednesdays, so after our last day of the workshop, you all can hop across the street to the farmers market! Margie – she’s fine now and back to her goofy self, thanks! Richard – your best bet is an Asian market. 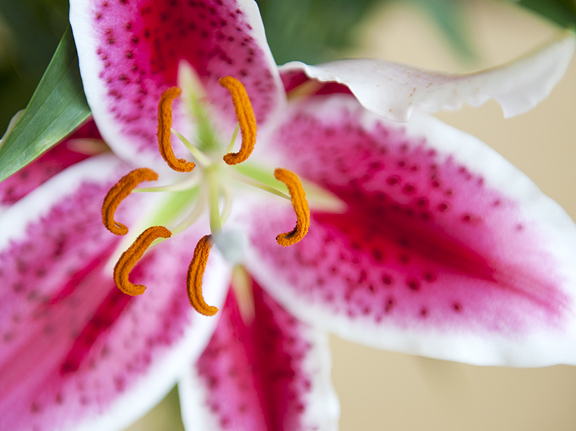 Shoshanna – I never knew there was a difference between the ripe and the less ripe kimchis until recently. The ripe is awfully good in cooking – I agree! i made some kimchi last night. 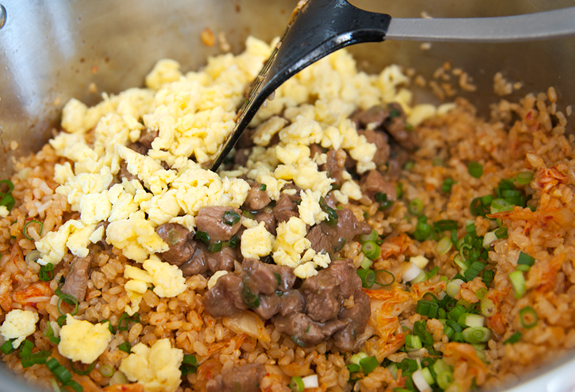 i’m lucky to have a white boy that loves kimchi…it was a prerequisite for marrying this half korean girl ;) i love kimchi fried rice! 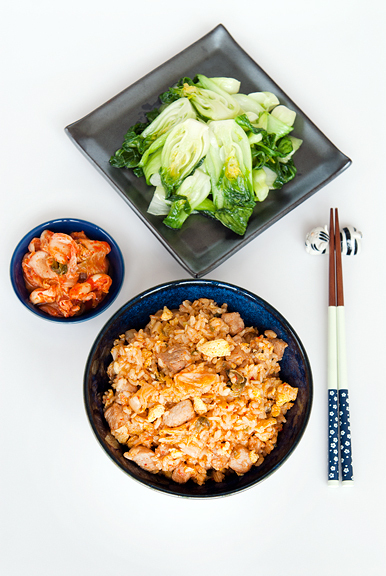 you can also stir fry kimchi and pork and serve it over rice…it’s delicious!